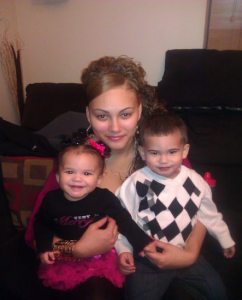 YAJAIRA PEREZ - TRA-BROCKTON YPP SUCCESS STORY | Training Resources of America, Inc.
My name is Yajaira Perez. When I was 15 I became pregnant with my first child. When he was 4 months old I got pregnant with my second child. Now I am 18 with two kids. When I was pregnant with my first child, I was living with my mom, and with my second child I was living with my in-laws. It was not and still isn’t easy being a teen mom with two kids; moving from house to house to having nowhere to stay. I ended up living in a teen shelter and attending the TRA-Brockton Young Parents Program, where I improved my reading skills by two grade levels, and then earned my GED in September 2013. I am currently living in Washington State, near my family, and working two jobs. I plan on going to college in the spring of 2014 so I can reach my career goal of becoming a pediatrician. My advice to all teens is to be responsible and protect yourselves. If you are a teen mom and need a GED, I would recommend the Young Parents Program to help you achieve your goals for you and your family.